After years running a successful luxury toilet business, Andrew Hay started designing the Flexiloo® toilet system in early 2004, having identified a need for a more elegant indoor solution that would be easy to transport to a site, carry up stairs and manoeuvre through doorways. The initial design was a lightweight, high quality product that folded neatly. But this folding mechanism of the toilet was only part of product’s success. Combined with the ability to shrink the toilet’s size and so improve transportability was integrating it with the Jets™ system, vacuum technology which used freshwater flush toilets and moved away from a chemical additive. In addition, Jets™ design has a low water requirement, making it extremely compact, efficient and reliable. When combined, Flexiloo® and Jets™ was a winning, and revolutionary, combination. In October 2006, the FlexilooFirst™ was launched at the Showman’s Show in Newbury, a major exhibition of products & services for the outdoor & special events sector in the UK. Such was the reaction that orders began to pour in from all over the world. No matter the country, the environment, the need or the demands of a toilet system, the requirements are always the same; high quality, easily installed, clean and hygienic and something that looks great. Flexiloo® systems are now available to hire throughout the UK, Europe and the Middle East and enquiries continue to come in from all over the world. 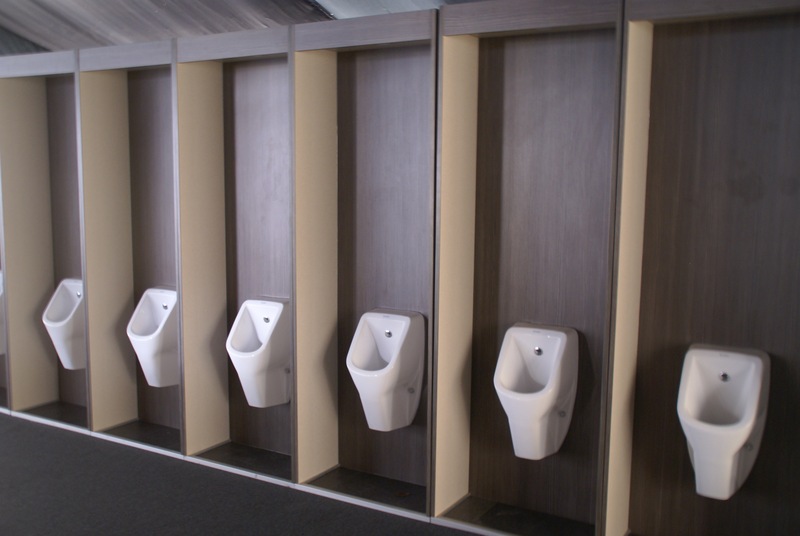 The product range has continued to expand and evolve over the following years, with the introducing of the FlexilooSmart™ product, a flat pack, easy to assemble temporary toilet system that can include washrooms, changing facilities and break out areas, all with an impeccably high standard of comfort and hygiene. Being the driven company we are, we have an ongoing process of development and updating, with new products continually being designed, manufactured and brought to the market. Developed over many years, the innovative FlexilooFirst™ system has been designed to provide the best quality toilet facilities in any location; office, building site, hotel, high society event or humanitarian relief. With the experience gained from operating a luxury toilet hire company, Andrew Hay started designing the Flexiloo® toilet system in 2004, having identified a need for a more elegant indoor solution that would be easy to move around, up stairs and through doorways. The company worked on producing a lightweight, high quality product that folded neatly.